In recent years, with the rapid development of e-commerce in Hengxian County, Nanning City, logistics costs are falling and e-commerce practitioners are growing rapidly, which is leading the masses of the county to renew their ideas, to reconstruct the rural economy with new technologies, new business forms and new models, and to stimulate the vitality of rural development. 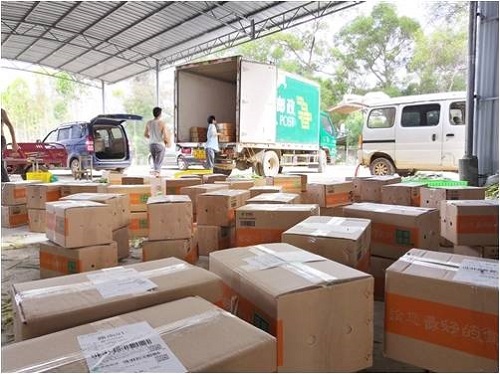 At present, there are 3 rural e-commerce platform county-level operation centers and 700 village-level service sites in the county, covering more than 80% of the administrative villages in the county. It is learned that through the innovative effect of e-commerce, in addition to the traditional jasmine tea and jasmine essential oil, Hengxian County also gave birth to a series of innovative products such as jasmine bonsai, jasmine pure dew and jasmine sachet, which has extended the industrial chain, and increased the added value of jasmine. In addition, the county's per mu income of papaya planting increased from the original 5,000 yuan to more than 10,000 yuan, which increased more than 200 million yuan for the income of the county's farmers in last year. Hengxian’s featured and advantageous products have been sold through the network to 29 provinces or municipalities directly under the Central Government.